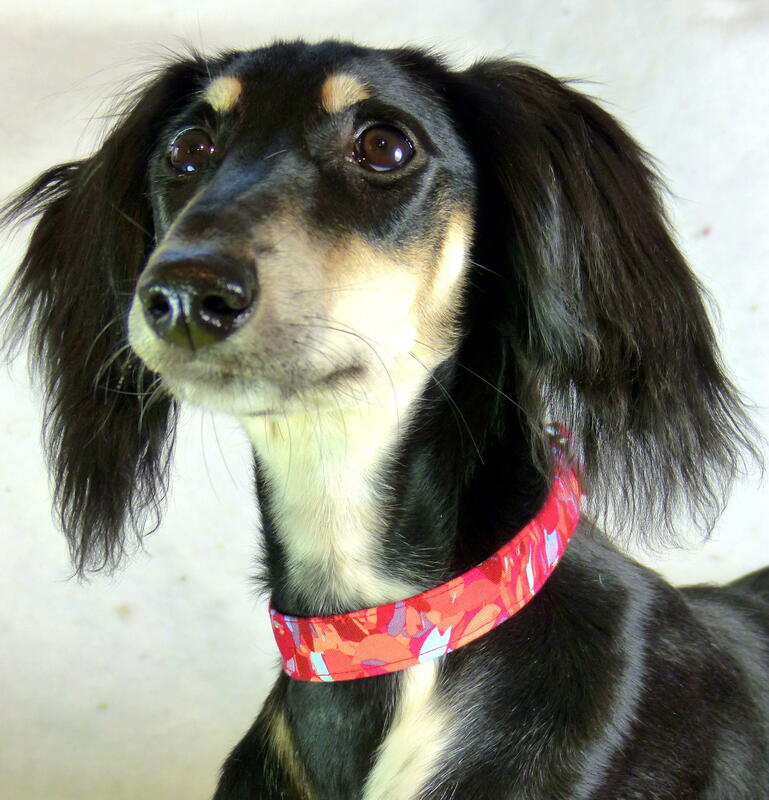 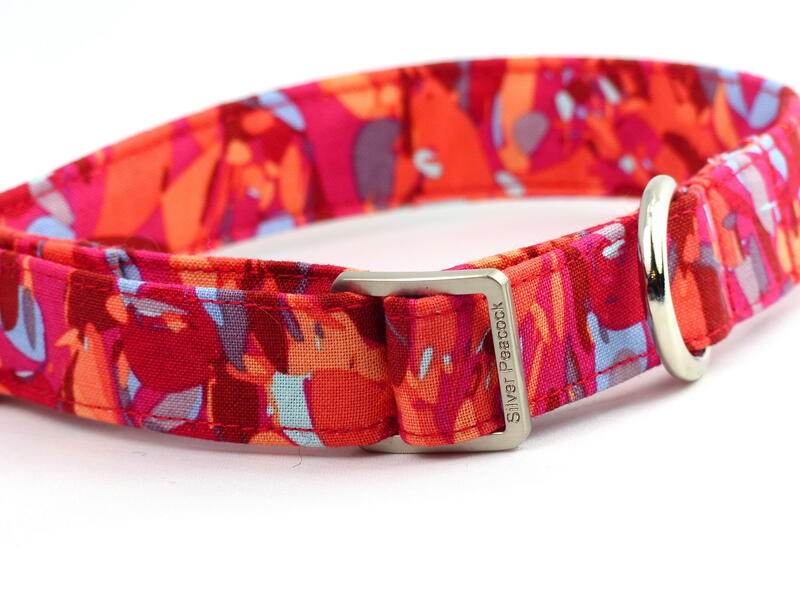 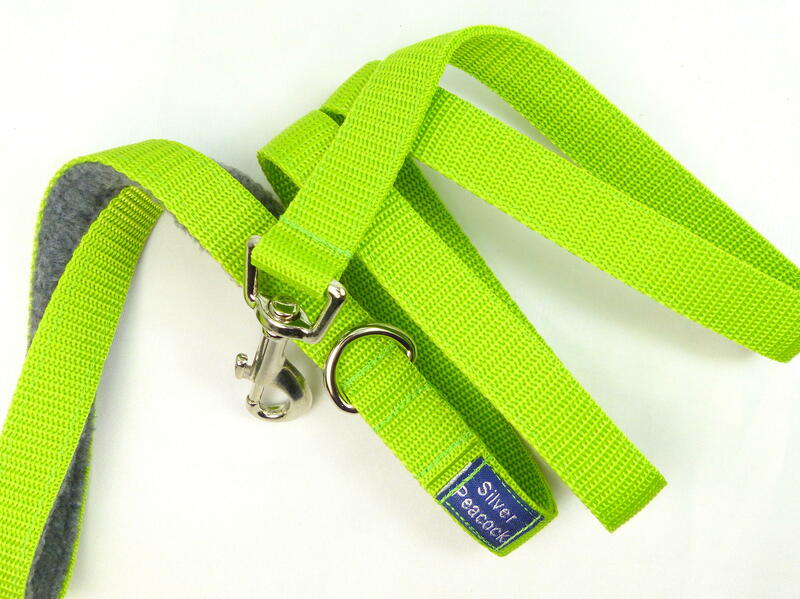 A stunning collar that would be perfect for lots of hounds! 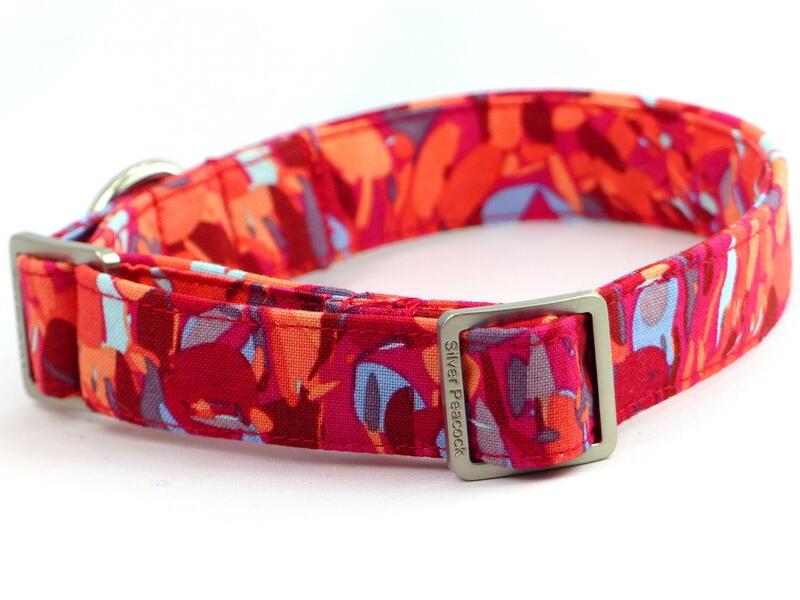 This gorgeous designer cotton print has an abstract design in shades of red, orange, cerise, mauve and sky blue. 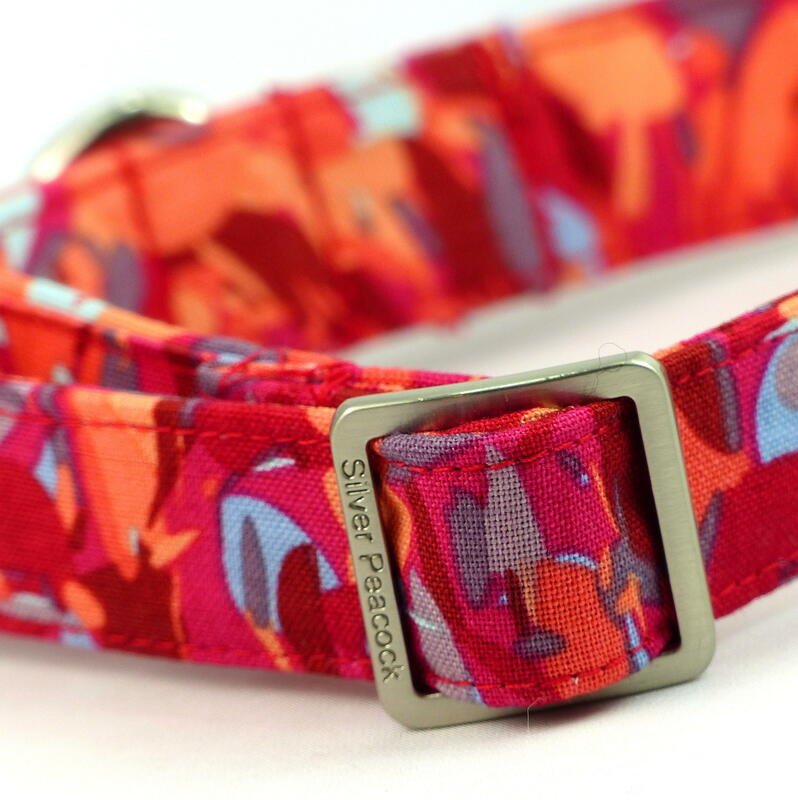 The collars are lined in complementary dark red fabric and are finished with our signature robust silver coloured hardware.